In 1966, a sniper opened fire from atop a tower at the University of Texas. This is the story of America's first mass school shooting. 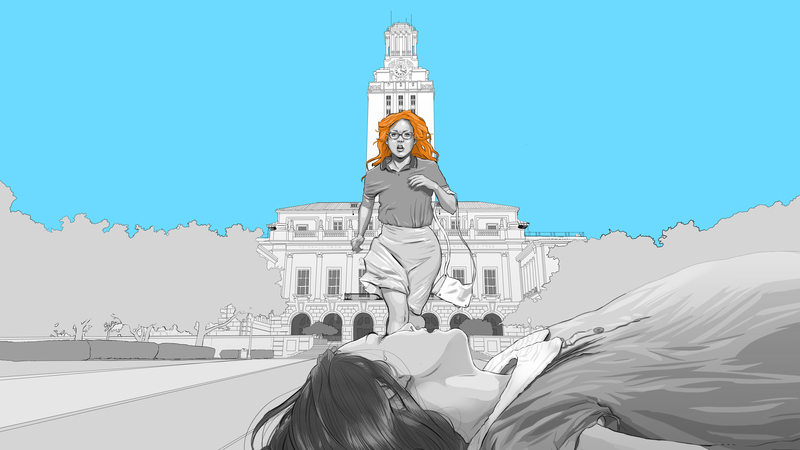 On August 1st, 1966, a sniper rode the elevator to the top floor of the University of Texas Tower and opened fire, holding the campus hostage for 96 minutes. It was America’s first mass school shooting. When the gunshots were finally silenced, the toll included 16 dead, three dozen wounded, and a shaken nation left trying to understand. Drawn from first-hand accounts of an ensemble cast of witnesses, survivors and heroes, Tower, an action-packed, animated documentary, reframes the events of that day via the perspectives of those who lived through it and examines the effects of the shooting over the last 50 years. The lessons from that day are more relevant now than ever. Four visually impaired teenagers in Texas face the usual challenges of adolescence while learning to navigate a world designed for the sighted.